Most fly anglers were raised on the more traditional tackle for the traditional fly fishing quarry, a 5wt 9ft graphite or fiberglass rod and the elusive, beautiful, and frustrating trout. The traditional tackle is not the only gear that is available. A form of fly angling that has been around for decades is now going through a renaissance in terms of the selection of gear and popularity. That is ultra light fly fishing. For the most part, ultralight tackle and fishing has been relegated to the smaller, backcountry streams where small brook trout are abundant and rarely crack the seven-inch mark. 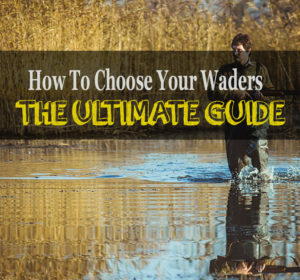 In this situation, high sensitivity in your line and rod tip along with the need to cast and maneuver in tight corridors made ultralight gear extremely effective in these conditions. The last several years has seen the use of ultralight fly fishing gear being used for larger fish in place of the larger, traditional gear and it is easy to understand why. It is difficult to not become addicted to this type of angling after feeling the fight of a trout or bass normally caught on a 5wt. Feeling every slight tug and maneuver within the water as if you were holding the line five feet from the fish is difficult to compare to any other type of fishing and is the main reason for ultralight fishing gaining popularity within the sport. Finding honest and accurate information on ultralight fly fishing is a difficult task and in this article we will discuss what ultralight gear entails and address some of the more inaccurate statements about ultralight fly fishing. We will also talk about some strategies to use ultra light gear more efficiently when stalking your quarry, particularly for larger fish. Let’s first take a look at various pieces of equipment that are used in ultralight fly fishing and what to look for when selecting the proper gear for your fishing intentions. The weight given to a fly rod does not actually represent the weight of the rod, but the weight of the line that the rod is able to cast effectively. Lower weight rods are generally lighter so you have a general idea of how light the rod will be given its weight label. A lot of ultralight rods are going to be slow action, meaning that the rods load very slowly during casting and flexes throughout the rod. Now, there are numerous fast action rods in the UL range and actions in between. In our tips and tactics section we will discuss the actions and how they handle certain sized fish. The size line that you will use obviously depends on the weight of your rod. We recommend sticking with +/- 1 rule when selecting a fly line to pair with your rod. This means that if you have a 2wt rod you can feel comfortable throwing a 1,2, or 3wt line. Now, you might have been wondering from the last section how there can be 000,00, and 0wt line? The reason is the line weight is on a certain standard, the American Fishing Tackle Manufacturers Association (AFTMA) and ought weight lines were designed by certain companies. The 000, 00, and 0wt lines are just lighter versions of the 1wt line. As far as the design of your line, you should abide by the same guidelines for selecting a line for any type of fly fishing. A tapered, forward weight line provides easier casting and a gentle presentation for wary backcountry trout. Floating line is also optimal for ultralight fishing, as you will be presenting dry flies, for them most part and it is difficult to find sinking line from 1wt line and down. The question of what type of reel you need depends on the type of fish you plan to stalk with your ultralight gear and there are several characteristics of reels you should keep in mind. Light reels use to mean small arbors, but thanks to improved technology in reel design and manufacturing, that is no longer the case. Larger arbors mean faster retrieval speeds, which is critical for landing larger fish on ultra light tackle. This may not be as much of a concern if you are planning on limiting your ultra light fishing to small streams. With rods that feel like you are holding air, you are going to need a light reel to keep the balance correct. This shouldn’t be a problem as most reel manufactures produce lighter reels for ultralight fishing. It is still important to feel the balance of your reel and rod before purchasing. The most important aspect to selecting a reel for ultralight fly fishing is a smooth and reliable drag system. You will be using very light leaders and tippet when fishing and a drag system that snags or doesn’t release line from the spool smoothly will quickly result in a break and a missed fish. Disc drag systems are optimal and produce a much smoother drag than the more common click and pawl drag systems found on lighter reels. There are a lot of sources and a lot of people who will tell you that you can do anything with an ultralight rod that you can do with a standard 5/6wt rod. It’s just not true and that’s okay! Ultralight fly fishing comes with some give-and-take from traditional fly fishing. In general, the same techniques used in fly fishing are still employed with ultralight gear. What we mean by this is reading the water, using the correct flies, and providing excellent presentation of those flies are universal regardless of your gear. First, you are limited to lighter flies. The extremely low weight lines just cannot handle heavy flies and are best used with light dry flies from size #18 down. Non-weighted nymphs could be used, but it negates the purpose of a nymph if they cannot get deep into the water column quickly. Fishing any type of weighted nymph or streamer will overload your rod and make casting with any sort of distance or accuracy impossible. Windy days are the bane to fantastic ultralight fishing. Normal breezes are nothing to worry about, but when the wind picks up to 15mph or more the light line just can’t cut through it and frustration is soon to fill your psyche. Landing smaller fish such as brook trout or panfish is the traditional purpose of ultralight fishing and the process of catching these fish with ultralight gear is relatively straightforward. For this reason, our tactics section for this size of fish will be brief. Slow action rods are your best bet when fishing for smaller fish. Not necessarily because of how they handle with a fish on the line, but they provide a lot more accuracy for the short casts needed on small streams. A common mistake a lot of anglers make when selecting a rod for small streams is that shorter rods means easier handling. This couldn’t be farther from the truth. Even in tight conditions you shouldn’t have anything shorter than 6ft and that is pushing it. The problem with shorter rod lengths is the accuracy and the ability to “high-stick” on the stream. For backcountry waters these characteristics are extremely important when trying to maneuver around tight streams and present drag free drifts. The drag system on your reel is not as critical when landing smaller fish, as they usually do not run line out at a significant distance. Even when getting into the ought weight ranges of rods and lines the lowest drag setting, some good line stripping, and line retrieval will land fish consistently. Let’s get to the obvious question most of you are looking to be answered. How can you land bigger fish on ultra light gear? First, it doesn’t matter what you read, trout or bass over the 10lb mark are going to be extremely difficult and near impossible to land on ultralight gear. This is especially true if you have the safety of the fish in mind. Even with larger weight gear, the occasion often arises where you need delicate presentation with small flies and tippet to even have a chance of hooking a fish. Larger gear can make this type of presentation unwieldy and even impossible so why wouldn’t you utilize ultralight gear? The reality is, with the right action fly rod and a good reel you can apply a lot of pressure to the fish, without breaking off the tippet, and be able to land it quickly. Slow actions rods are better suited for the medium sized trout and bass. The reason is the flex throughout the rod will allow you to apply a lot pressure to the fish without snapping the light leader and tippet. With fast action, a large portion of the pressure is localized to the tip instead of throughout the rod and this puts a lot of pressure onto the tippet and leader usually leading to breaks. One issue with slow action rods is that you do not get as much distance on your cast. In small streams this is not a problem, but if you are heading into larger waters you may need the extra distance. Using a medium action rod would be a good idea to provide more casting distance while not sacrificing all your rod flex. A major factor in landing bigger fish is a having a great drag system in your reel. When working the drag on larger fish there is a certain way to manage this. Initially, you need to use a low drag pressure. An initial hookup with high drag pressure set often leads to tippet breaks. By using a low drag setting you provide needed resistance to help tire the fish as you begin retrieving line. As you begin gaining ground on the fish you should then gradually apply increased drag pressure once the initial and greatest strength of the fish has been exerted. During this process you should always keep your rod tip up, applying constant pressure throughout the process. Relieving pressure and then stressing the line over and over only increases the chances of a break and often leads to longer fights and exhausted fish. By using the correct gear and techniques to keep pressure on the fish you should be able to safely land bigger fish with your ultralight gear as efficiently as larger weight tackle. For some forms of fishing, such brook trout or panfish, ultralight fly fishing gear is the gold standard offering tremendous sensitivity, and though the holiest of fisherman don’t like to admit, it gives a better fight. Ultralight tackle is not inexpensive and is not an alternative to traditional fly fishing tackle used for larger species of fish. Even experts with 30 years of experience might be able to safely land a bull brown on a 2wt rod that should not be your intention. While ultralight fly fishing has its benefits, it also has its limitations. It’s important to realize this, especially if you are a catch and release angler and the health of the fish is important to you. Hopefully, this article has given you a better understanding of what ultralight fly fishing entails and cleared up some of the common misconceptions of the sport. More importantly, it has conveyed the importance of understanding how the gear functions and why having and using the right gear is not only important in catching fish, but also in handling them ethically. Ultralight fly fishing is one of the most personal of fishing methods between the angler and the fish. It is unique and with your now better understanding of the sport you can experience this incredible form of fishing for years to come.